I told you last week I’ve been loving the midi length. Here is another look I’ve been wearing lately. It was so hot here last week, and I reached for this dress almost daily because it is so easy and comfortable to just throw on. Now, I didn’t wear it every day, but I thought about it lol. It is the perfect dress if you want to look put together and still be comfortable in the crazy hot heat. I love the fact that it also looks good when you throw a jacket over it or even a vest like I have here. 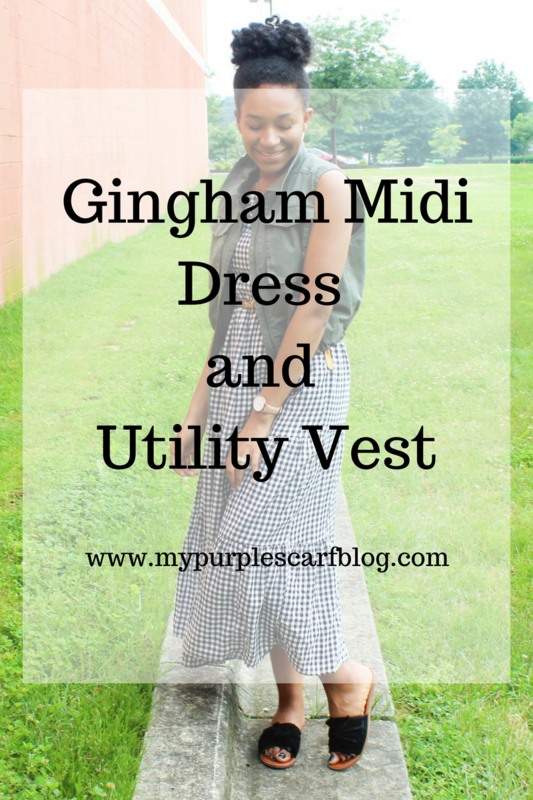 I love the midi dress and the combi with the utility vest. 🙂 Great idea for me. Thanks!